Teeka Chutney - The most delicious part of Vada Pav, spicy dry chutney powder made from roasted peanuts, sesame seeds and garlic. 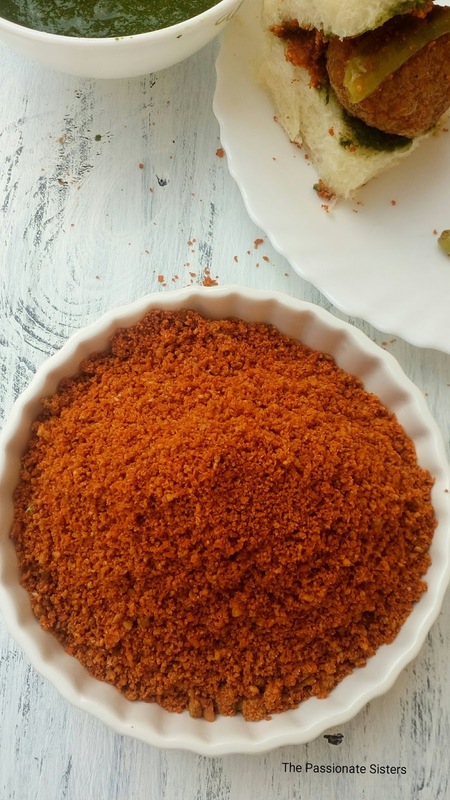 If you are already a fan of Vada Pav, then you are going to love it even more with this Teeka Chutney. 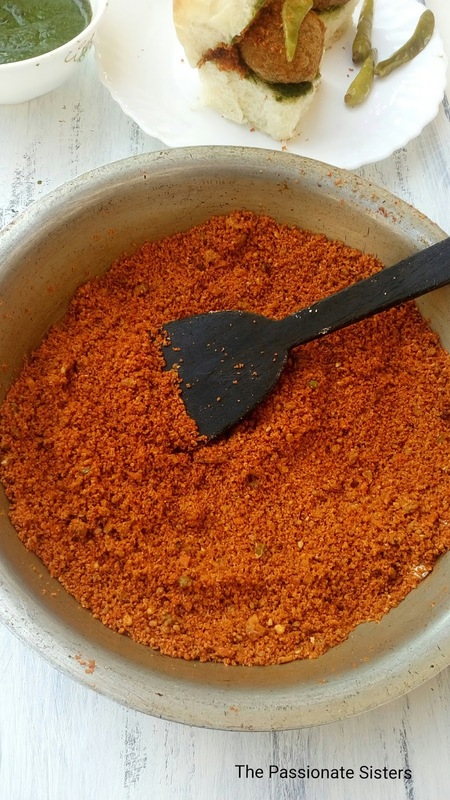 Its spicy, its got texture and its so aromatic. 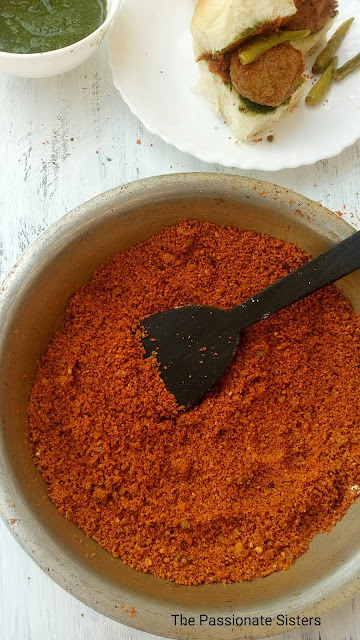 It can even make a simple loaf of bread taste fantastic, just apply some butter over a loaf of bread and sprinkle it (or in my case layer it ..) with this chutney powder. 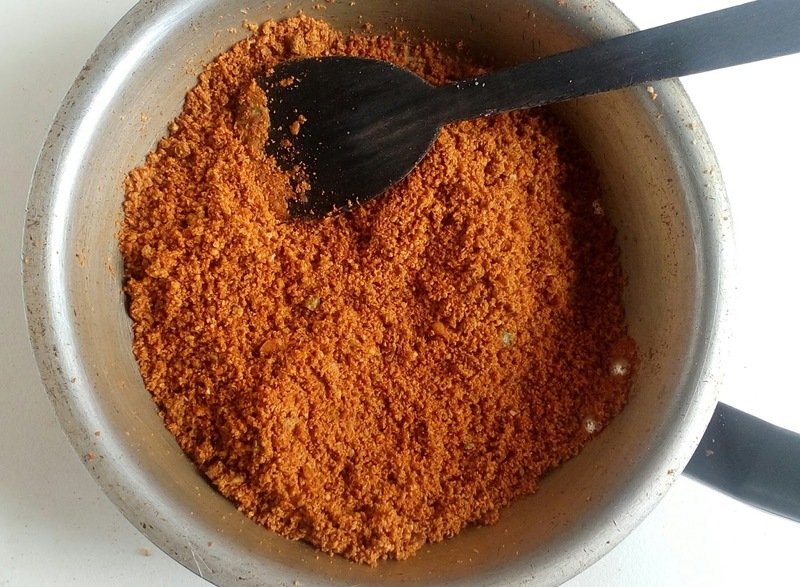 It will taste wonderful. And it pairs excellently with Dosa too!! 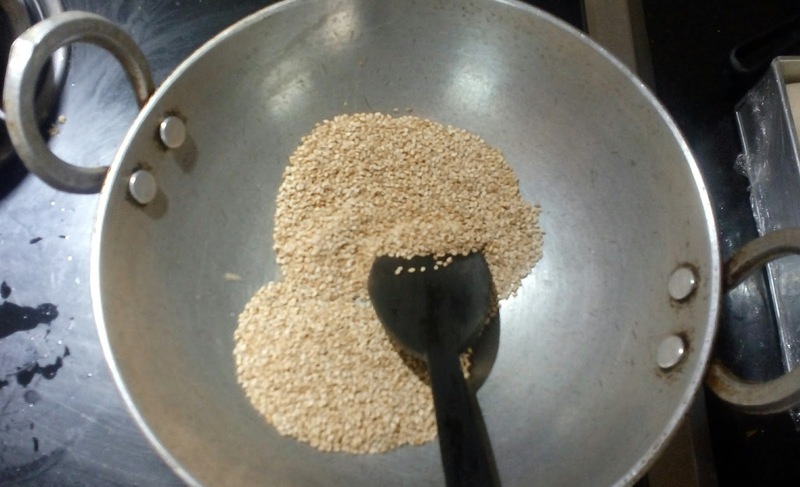 1) Dry roast peanuts and sesame seeds separately until fragrant. Let it cool to room temperature. 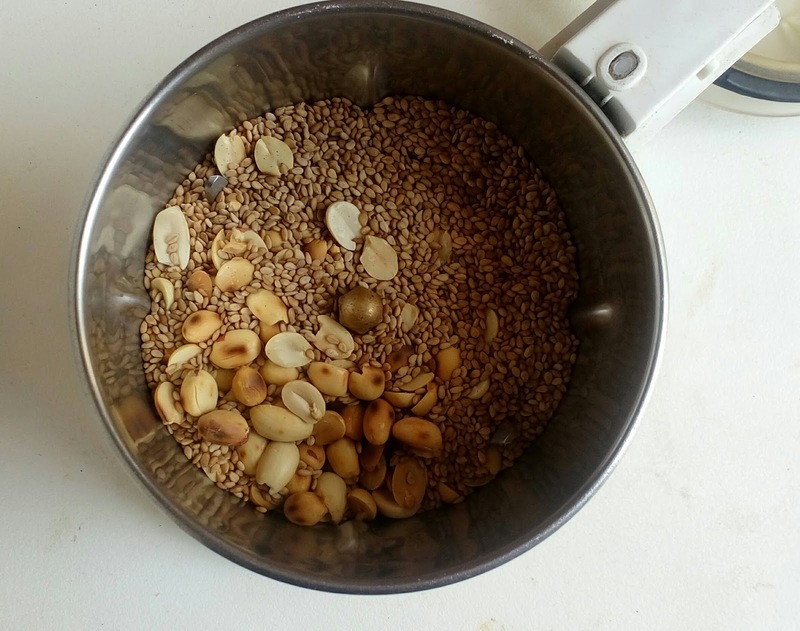 Remove the skin from peanuts and transfer to a mixer along with sesame seeds. 2) Pulse ( do not over grind!! ) 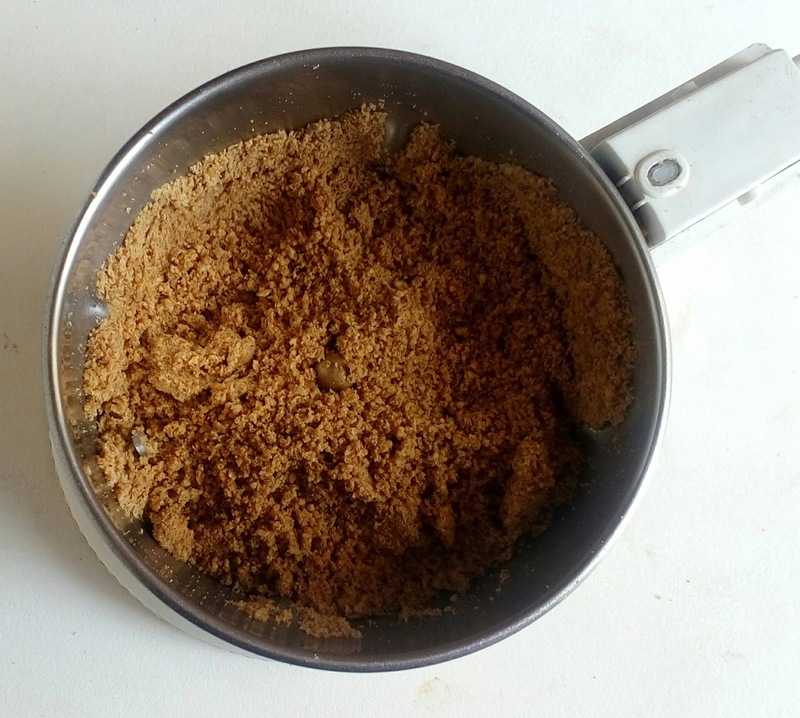 the contents in the mixer until they are coarsely ground ( like shown in picture below ). 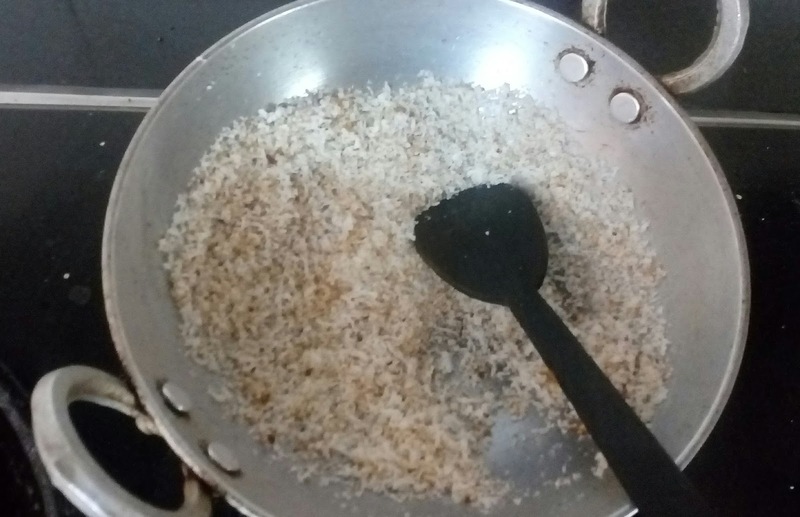 Dry roast the coconut in a very LOW flame until it is dry, tossing often. 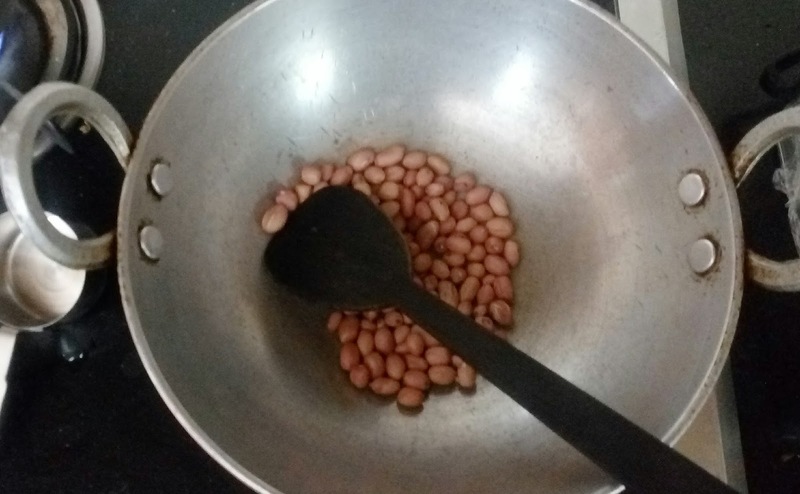 Tip: Just roast for few minutes and then remove from the flame and let it cool in the pan itself. 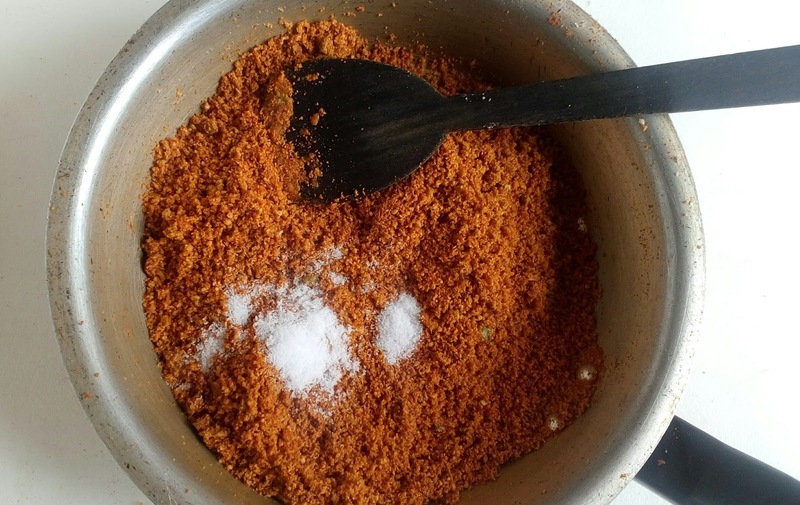 This will make the coconut dry without burning them. 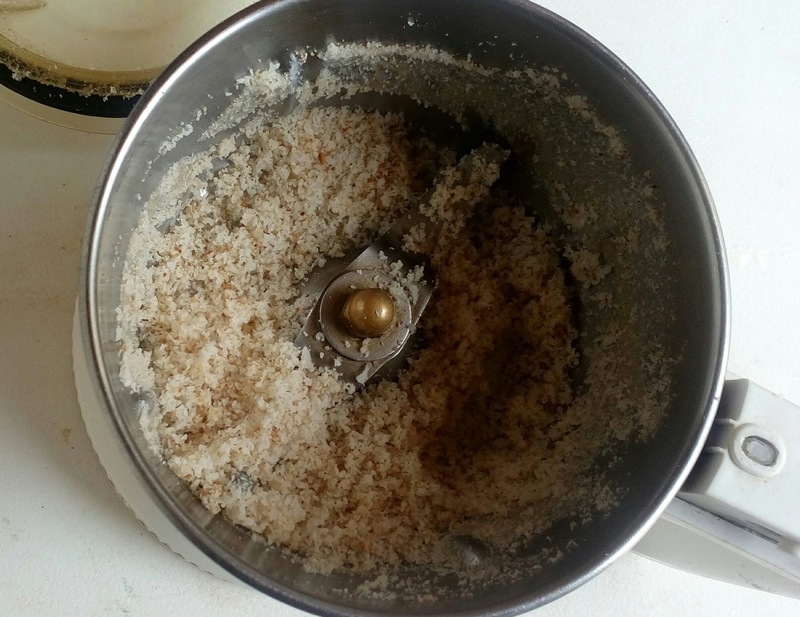 3) Transfer to the mixer and pulse until powdered. 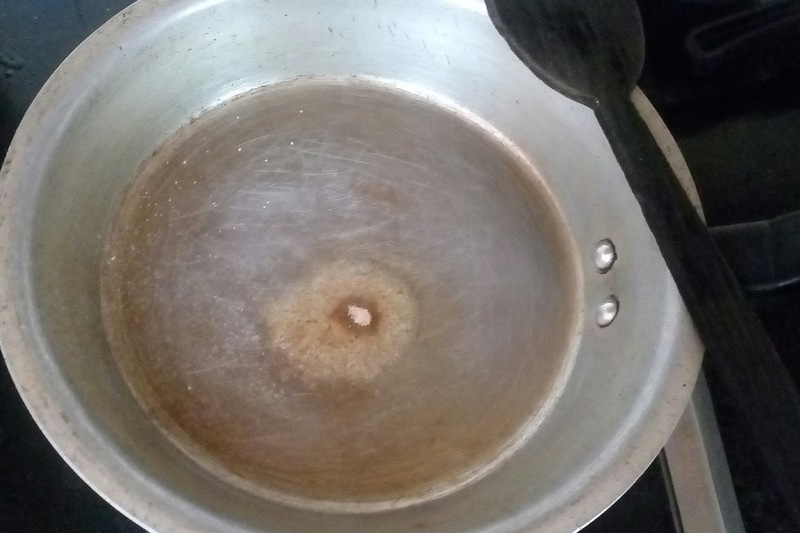 Heat oil in a pan and add hing. 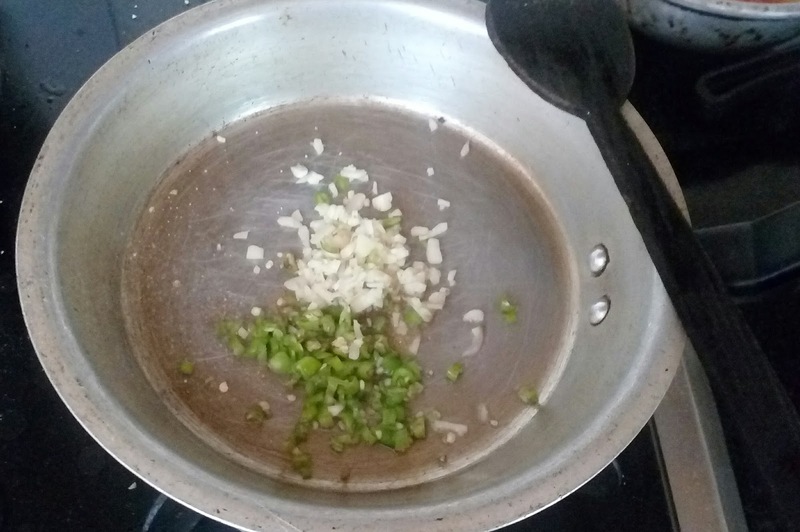 4) Add Chopped green chilli and garlic and toss in medium flame for about 1 to 2 minutes. 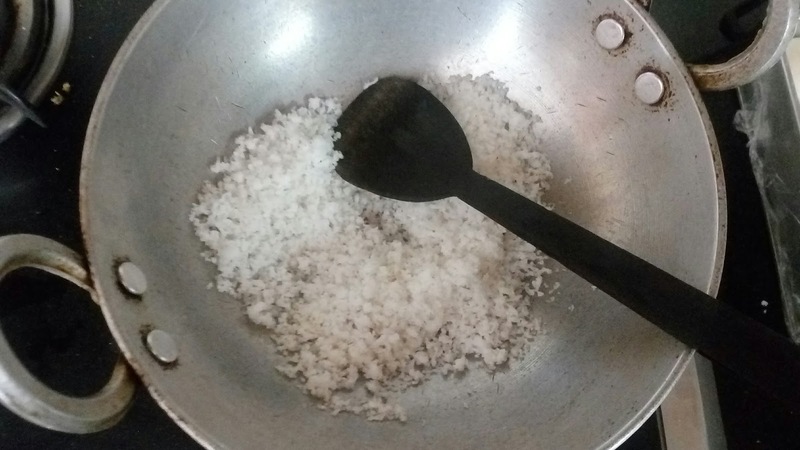 Add the prepared coconut powder and fry until golden. Turn off the flame. 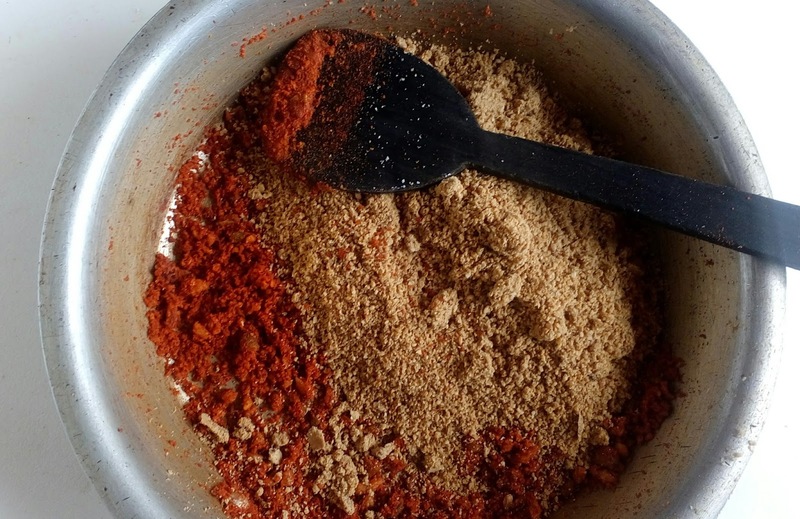 5) Add the red chilli powder and cumin powder. Mix well. 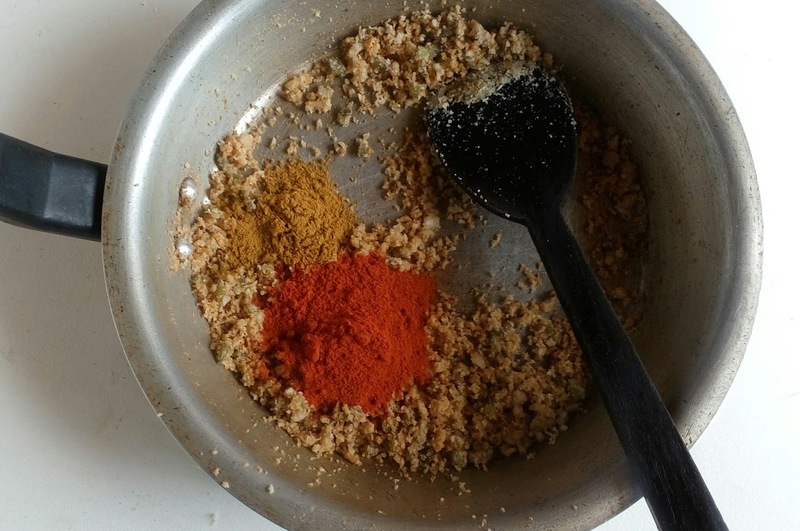 Now add the roasted powders and mix well. 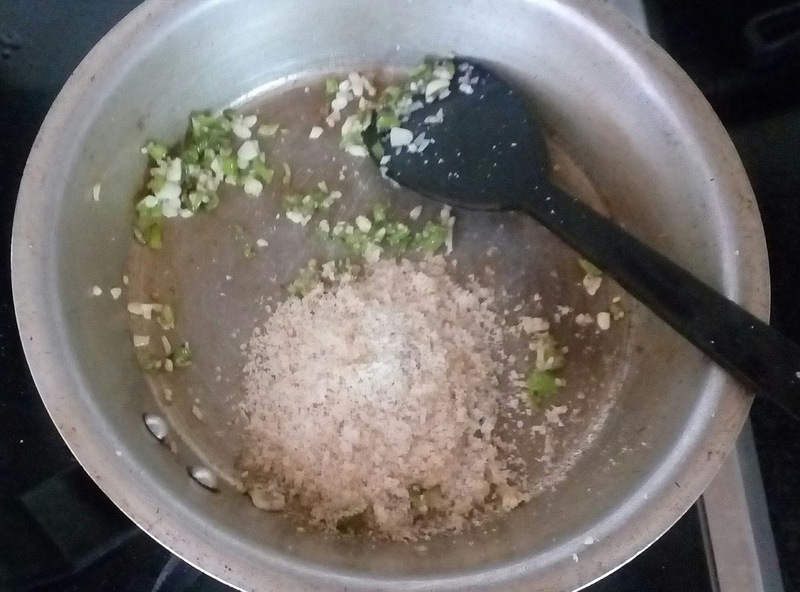 6) Finally add salt and mix until well combined. 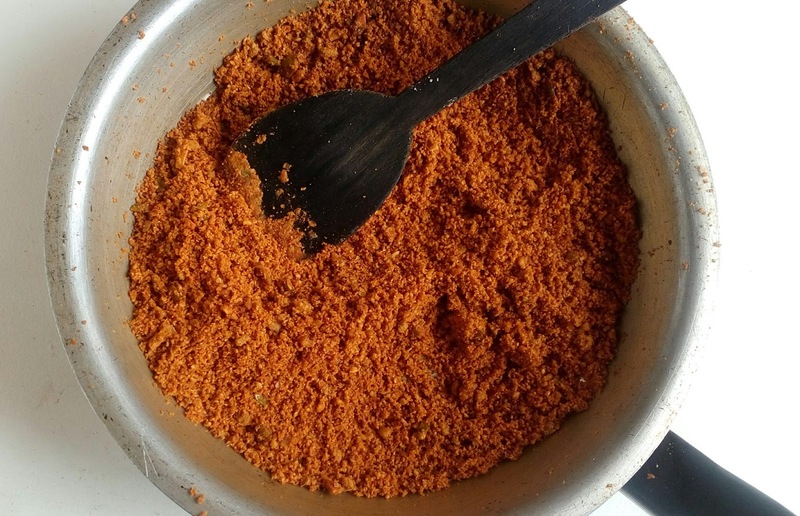 Tada... Spicy, aromatic Teeka Chutney is ready to dig in!!! 1) While roasting the nuts and coconut, try not to burn them as it will change the taste of the chutney. 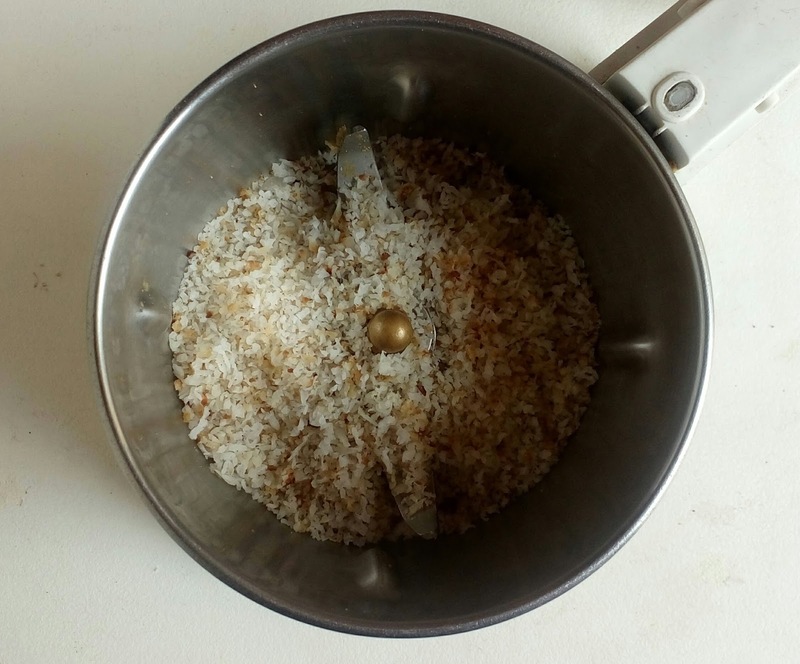 2) While grinding the roasted nuts and coconut, just pulsing a few times is enough to powder them. 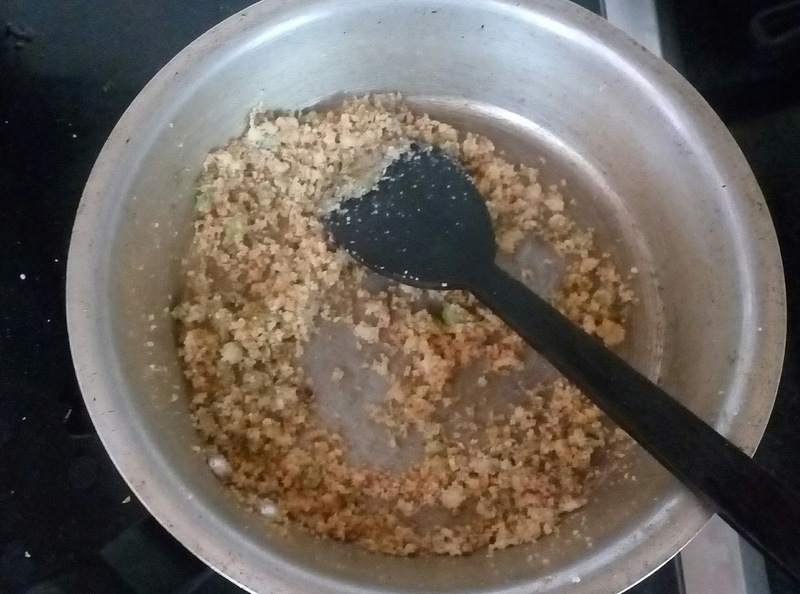 Over grinding will make them pasty or oily. 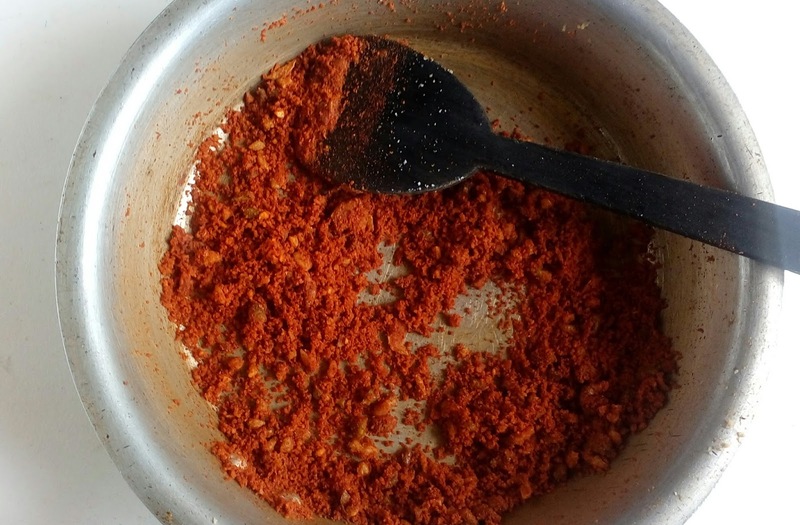 3) The colour of the chutney will depend on the colour of your chilli powder. 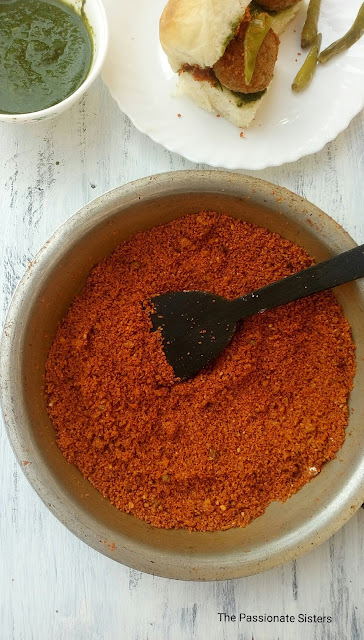 Use a nice red chilli powder to get a bright chutney.